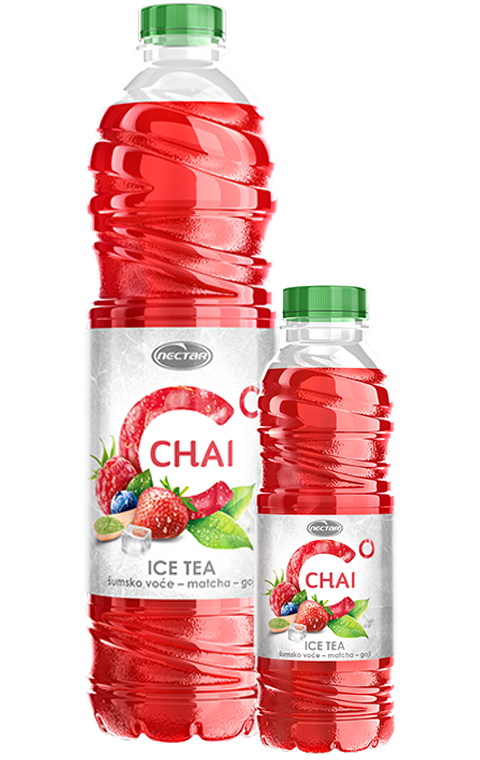 CHAI Forest fruit is a unique combination of ingredients combined into an irresistible ice-cold refreshment. In this drink, the perfect aroma of tea meets the rich taste of fine forest fruits and exotic notes of matche and wolfberries. CHAI Forest fruit is here to give you in the long summer days everything you need to feel fresh and cool. A non-carbonated, non-alcoholic drink with a taste of forest fruit, matche and wolfberry. Keep in cold and dry places protected from freezing and sunlight. After opening, keep in a refrigerator and use within 3 days. Best to use until the date printed on the shutter.